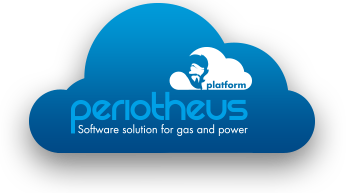 Periotheus Power Plant Management allows you to utilise your power plant complexes as efficiently as possible. Our solution makes it possible to display the structure of a complete power plant complex and to fully automate the use of resulting data. All power plant types, whether powered by renewable energy or fossil fuels, can be displayed with a high level of detail. Power plants can be depicted as detailed as you wish, and both availabilities and production capacity can be aggregated. Optimal integration into existing management systems (e.g. 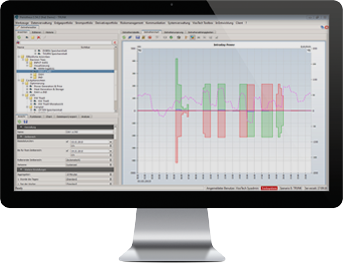 Periotheus Schedule Management) is also provided, as well as the possibility of integration into in-house control and optimisation systems. In addition to Power Plant Management, VisoTech offers ideal tools to conduct short-term commercialisation of available production capacities with the autoTRADER and interfaces to EPEX SPOT and Nord Pool. In cooperation with our partner, it is possible to optimise the commercialisation of generation portfolios in various markets (day ahead, intraday & control energy). Generation portfolios can consist of conventional thermal or hydroelectric power plants or can also represent a virtual power plant with wind and photovoltaic facilities. The results are again assigned to the planned generation of the power plant in connection with an optimisation run. Transactions and nominations can be executed on this basis.